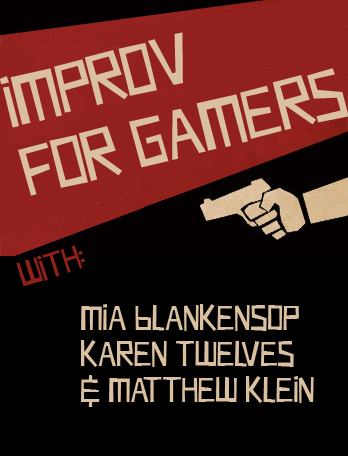 The Improv Workshop for Gamers is back and better than ever! 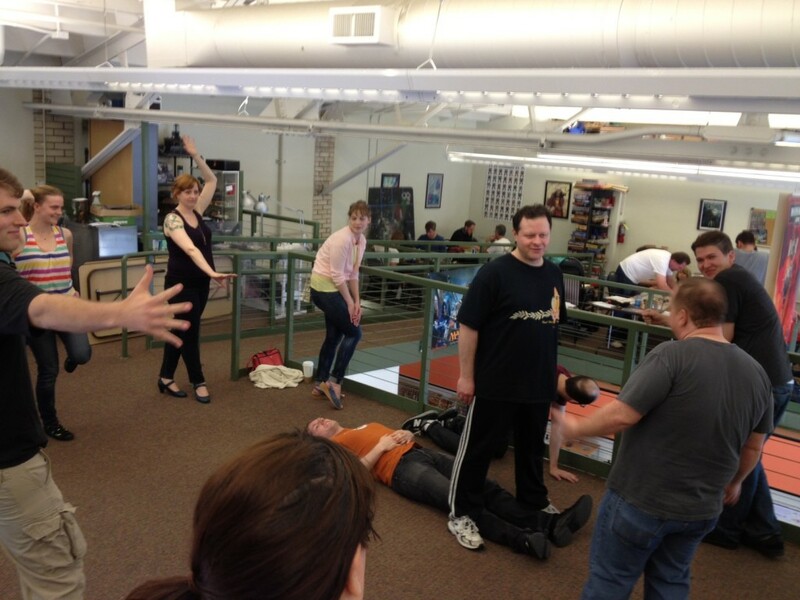 Join us on May 6, 2012 at EndGame in Oakland for an integrated improv/gaming workshop! We’re going to explore dynamic characters, collaborative scene-building, and the success/complication model as it applies to role-playing games. Local improv instructor Mia Blankensop will lead a series of exercises in the first half, and the second half of the day we’ll be putting it all together by playing some Fiasco. Bonus coolness: We’ll have awesome prizes to give out in a raffle at the end: a signed copy of Fiasco, a Fiasco T-shirt, and a Fiasco Kit (complete with dice, index cards, and playsets)! All Fiasco rules and playsets provided. Many thanks to the fine folks at EndGame for hosting this event. “That was awesome. Thank you, all!” – Noam R.
“Nicely presented today and my goodness I won my first con prize in several years. I’d like to thank my agent and my producer.” – Shannon M.
“Terrific event. Sad I was only able to stay for the first half, but what a first half it was. Thanks for Sean, Mia, Karen and Matt for their work and presentation. And I learned stuff too!” -Vanessa B. 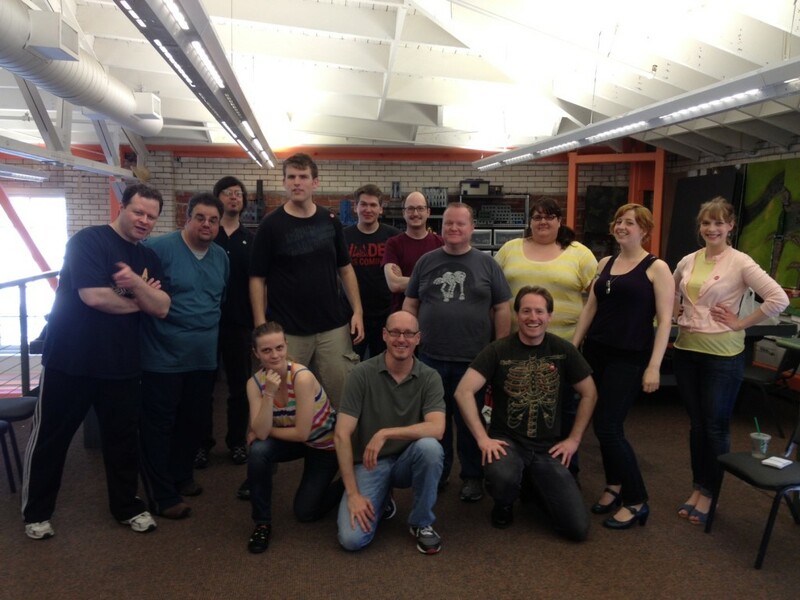 “Martin and I had a really great time at the workshop! He’s super into Fiasco now, it really got him excited.” – Elizabeth B. The stars are aligning or something… I just started outlining a set of mini-workshops entitled “Acting for LARPers” to present at local gaming conventions. Methinks you guys are WAY ahead of me, so maybe I should just chill out. 😉 I shall endeavor to shake the reg fee out of the piggybank and attend. Yep, Fisaco is made of much awesome. 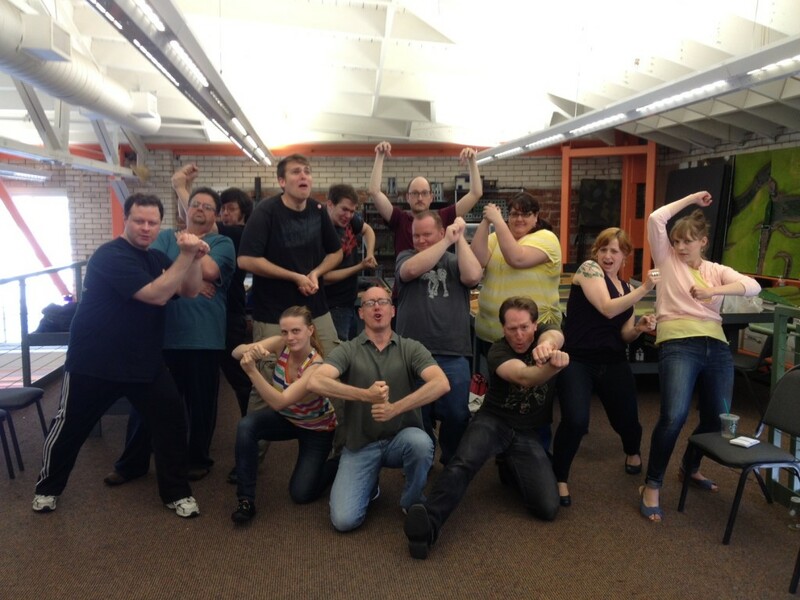 If you can make it to the workshop, you’re sure to get in a good game. Even if you can’t make it though, Fiasco is really easy to just pick up and run.